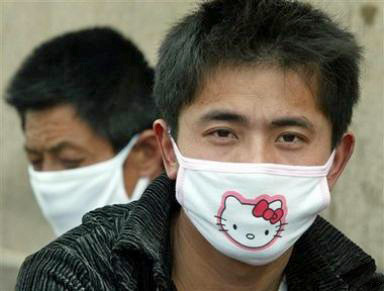 I am going to start wearing a surgical mask for doctor & dentist appointments… – The Diesel-Electric Elephant Company. Went to the dentist this morning (tick, VG, smiles and see you in twelve months). My dentist is in a very large combined medical centre with doctors and pharmacists and nurse-practitioners (WTF?) and according to rolling information screens, even a “Bariatric Surgery Obesity Clinic”. I initially read this as a “Barbaric Surgery Obesity Clinic” which sounds much more like fun. Even I might lose a few pounds wrestling with lions or sandal-wearing chaps with nets and spears. I, Spartacus, have counted your calories and cut them again… Then, once I’d read it properly I spent five minutes wondering if there was a Tautology Clinic too. For all I know there are vets in the building somewhere, giving nicotine patches to horses. It’s a big place. It’s busy. My appointment was for 0830 HRS. I arrived ten minutes early – only to discover that with logic that can only survive in the us & them battlezone that exists twixt NHS patient and NHS staff, they don’t open until bang on 0830 HRS… Outer doors were open, inner doors were locked and the space inbetween was like some cross between an Elizabethan bawdy-house and the waiting room for Hell’s inner sanctum sanatorium (SIC). Perhaps thirty scraps of human life jammed pustule to rash, collapsed lung to infected spleen, in a space intended only for swift transit from inside to outside and vice versa. Why they were all wedged in there is well beyond my ken. The bio-mass was half human, half pure disease. The scene stopped me in my tracks (fortunately) some three metres before the glass doors. This near-solid cube of ailing humanity coughed, wheezed, farted. They dripped, squelched and squirted pus in all directions (well, not literally, but some of the flour-sacks they were dressed in had seen cleaner days). There was one chap just visible in the middle of the huddle (he might have been on his way to the Bariatric Clinic), still sitting on his electric scooter and zipped up tightly in a quilted coat (the sort with a faux-fur trimmed hood). The left indicator on his scooter was blinking, slowly. Outside where I stood – aghast – the air was still fluid, still reasonably potable. The whole establishment is appointment-driven, why were they all crushed up trying to be first in? Were perhaps supplies of serum against the Black Death running low and no-one had told me? The appointed hour arrived. A fire-station style bell tolled and something… something with keys, something with power, raised itself from behind the reception desk and opened the inner portal to the masses. On the grounds that if they’d wanted me upstairs and upside down in the nice dentist’s chair bang on 0830 HRS they would have permitted me access earlier, I gave the air in the vestibule five minutes to clear a bit. The crowd having shuffled into the building proper only the air-conditioning filters still coughed. I determined to remember to breathe through my nose and to never lick my lips no matter how dry they got at the thought of an impending spell upside down in the dentist’s chair. I felt about as secure as I might have felt wading up the World War Two beaches of Normandy armed only with a stick of asparagus and a witty quip. Hello young obviously still pre-pubescent minimum-wage schoolie on reception, yes, yes, I will take a seat until called. I took a nice, isolated seat in a sub-waiting room for the dentist, a room populated only by myself, two stray penguins and the howl of a fresh arctic gale blowing snowflakes through the ceiling vents. It all began to feel nice and crisp and white and sterile again. Did this morning end there? Oh no. Of course not. The chap who had been sitting on the scooter in the doorway hell-hole, Mr twelve layers topped off with a coat and hood, had made his way upstairs. Perhaps the scooter hadn’t actually been his, but had been the only space available in the crush? Anyway, where did he sit? Of the forty-nine other chairs ranging from “twenty very polite metres away” to “mere centimetres away” he sat as far away as he could. Ha! Only kidding! He sat right next to me, elbow to elbow, shoulder to shoulder, flea to flea. Had I not recoiled instinctively he would have been half on my knee. Breathing mechanically through my nose, still careful to not wet my lips and still clutching my little “Mr Dentist – I am your next patient, my name is… and I am here today for…” form I found myself suddenly and tragically possessed by manners. The beatings of childhood, the potty-training conducted at the end of a shotgun barrel, the years of being seen and not heard, they all broke through despite my best intentions, and I made the minimum eye contact and said ‘Hello’. Well, you know that feeling that Archduke Ferdinand got soon after he said to his missus, ‘No, dear, it’s a lovely warm day – I’ll leave the bullet-proof vest at home for a change and just wear my tweeds’? You know that feeling that swept (literally) over Captain Edward Smith soon after he said ‘Icebergs already, it’s on an unsinkable ship we are so don’t give me icebergs. I should worry about icebergs with lumbago such as I have? Always it is with the icebergs!’? Those two gentlemen must have felt just the way I felt, because Mr Motability Scootah turned out to be quite an affable chap, eager to talk at the slightest excuse. ‘I sweat a lot’ he said. ‘It’s nice to see the old skills being saved for future generations’ replies I. Even at 0830hrs it was 22C and so humid that the Surgery goldfish were on walk-about. ‘I don’t just sweat a lot, I sweat in some horrible places’ says Mr Affable, hands in pockets. Well, when he said that he sweated in some horrible places, naturally my mind leapt to the dock at Bow Street Magistrates Court, or perhaps some Southbank production of Alan Plater’s “Love On The London Geriatric Lesbian Rubber Scene”. But no, he explained in great anatomical detail just where he sweated, and not one single over-moist location would be of the slightest interest to a lesbian, Londoner or otherwise. I had to admit, the close-quarters rattles and wheezes certainly backed up his diagnosis. ‘HuTson, yes, that’s me – guilty as charged. Please take me away, lead me towards the hypodemic nerdles and the drills, please do.’ I found myself oddly in need of being prodded with pronged instruments and a dentist fresh from the autoclave. In the end I got a short summation of the dentist’s holiday (it was his first day back on the job), a clean bill of ivory health and a growing urge to gargle with paraffin and take a swim in the nearest sheep-dip. The upshot of this morning is that, come what may, whatever I may look like, no matter how folk snigger and sneer and point and jeer and set dogs to barking at me or hold up laughing children as I pass by, I will be wearing, at minimum, a Japanese-style face mask when next I have a doctor’s or a dentist’s appointment, or anything similar. Hell’s bells and buckets of blood – I may even go through Mother’s old sports gear and wear the full aqualung. It can’t be a good thing, collecting all of these sick people in one confined place, surely? Perhaps if we spent a fortnight curing everyone’s ailments in isolation then that would be that – without the cross-pollination of waiting rooms maybe the bugs and germs would take the hint and die out? The system at the moment is like some air-borne, blood-borne, sneezing, wheezing, infestation-swapping Bring & Buy sale. Previous I have given my head a Brazilian and I love it! I must admit it’s almost guaranteed you come out of the doctors with more than you entered with.It’s absolutely no joy when you arrive on time and the doc is running an hour late, before he’s even seen his first patient. I think his tea must have been too hot.